Sudip is an IT industry veteran with an experience of over 3 decades. Sudip started his career in the IT industry at HCL in 1979. 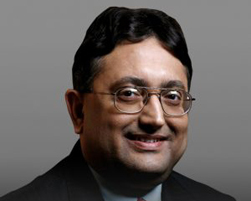 Thereafter, he joined Wipro in 1983 as one of the founding members of its IT group. He quickly moved up the ladder to various V & C level positions. He grew the Enterprise Solutions business from US$160 million to US$1.4 billion in 6 years. While at Wipro, Sudip successfully consummated two global acquisitions. He joined L&T Infotech as the Chief Executive Officer in September, 2008. During his tenure, L&T Infotech grew from US$380 million to US$600 million+ and expanded its business into new markets like South Africa, Australia, Canada, etc. After leaving L&T Infotech, he began working as an independent consultant on Strategy, HR processes & Systems. He serves on the Board of Directors of IFB Industries; he is a member of the Karnataka Government Industry Group – KIG 2020 & is on the Board of Governors of Indian Institute of Information Technology, Allahabad. He is also a member of the Executive Council of NASSCOM. He holds a B.A. Hons. in Economics from SRCC, Delhi University and Diploma in Management from AIMA, Delhi. If you wish to contact Sudip Banerjee, you can drop him at email at sudip.banerjee@head-held-high.org.